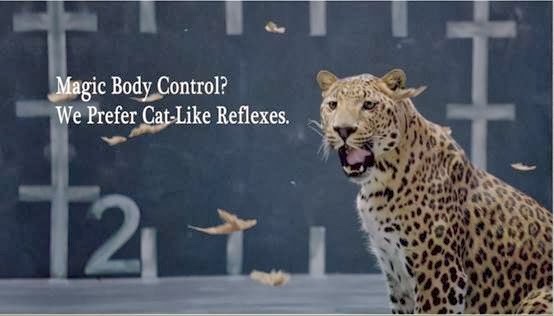 Last week, Jaguar released their take on viral cat videos to announce their Unwrap a Jag December sales event. This week, the luxury automaker takes on chickens, as they have also become viral YouTube sensations, dancing in the name of the newest hard-to-grasp, gee-whiz Magic Body Control technology, from luxury powerhouse Mercedes-Benz. The video features great music and even better choreography, and now everyone knows that if you move chickens to the beat of music, their bodies will move while their heads remain in place. With over 7 million views on YouTube, in just a few months, the renowned luxury automotive brand has literally laid a golden egg, and much praise is due to their creative team. We here at Jaguar USA loved it so much, that we wanted to offer fans of the video an alternate, Jaguar, point of view. With the launch of the 550-hp Jaguar XJR high-performance sedan, we are especially proud of our flagship model’s dynamic performance and handling. Everyone knows the luxury automotive landscape today is a jungle, and while chickens are great dancers, the Jaguar is a sharp toothed, agile predator.